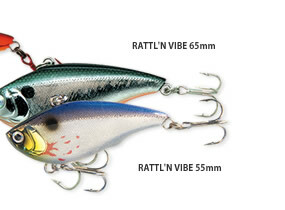 Ten internal steel balls result in outstanding casting distance and also rattle and vibrate on the retrieve. (Nine internal steel balls for 55mm) Large holographic eyes and a detailed etched *skin* give an incredibly lifelike appearance. The bait`s perfect balance allows it to be jigged vertically (with a sink rate of 1`per second) without planing to either side. 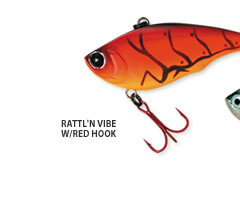 The Rattl`n Vibe will dive to a depth of 20 feet and is very effective worked with a stop-go or steady retrieve. Вы сейчас на странице: DUEL&YO-ZURI Приманки YO-ZURI серия 3D RATT`N VIBE.